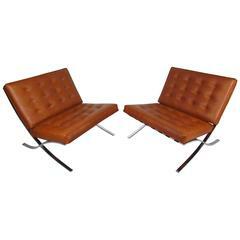 These are the earliest pair of Knoll Barcelona chairs that we have seen in some time. 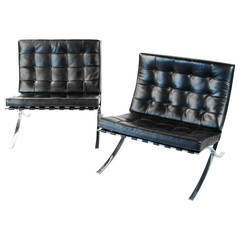 These examples have hand rubbed stainless steel frames and are upholstered in their original wonderfully patinated black leather. 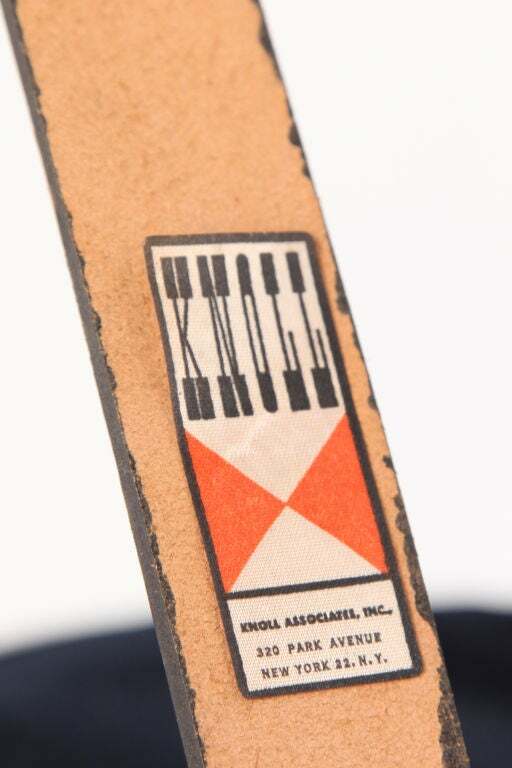 Please see the photos for a photograph of the earliest Knoll label. Price is for the pair. 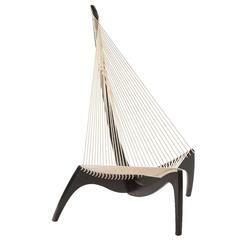 Jorgen Hovelskov harp chair form 1968. 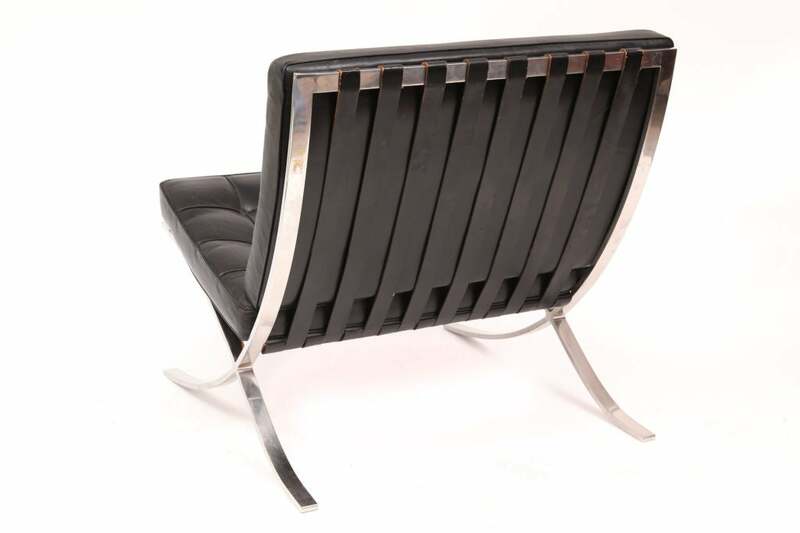 This example retains its original ebonized ash finish and has been newly and masterfully been rewoven in period correct flag halyard. 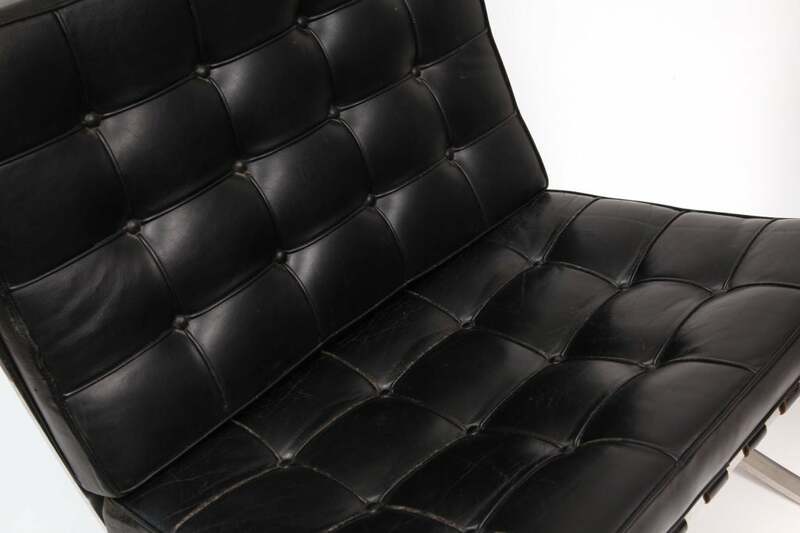 Vintage black leather Knoll International Barcelona chair. 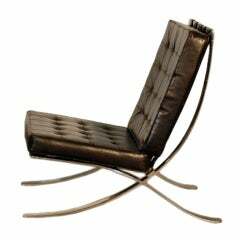 Designed by Ludwig Mies vd Rohe in 1928. Good used condition with signs of wear. 1 avaible. 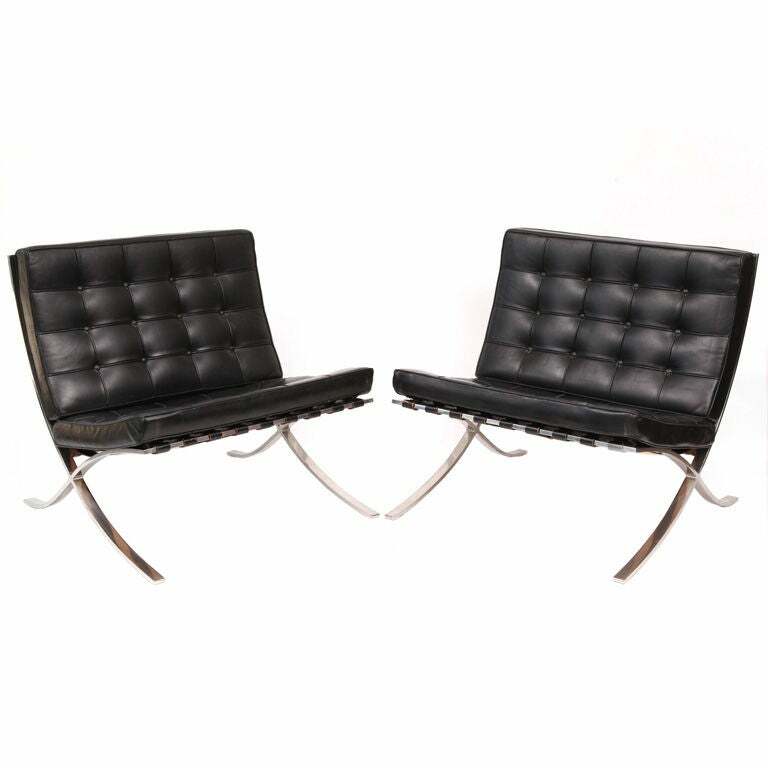 Wonderful pair of vintage Barcelona chairs designed by Mies Van Der Rohe and made by Knoll International. 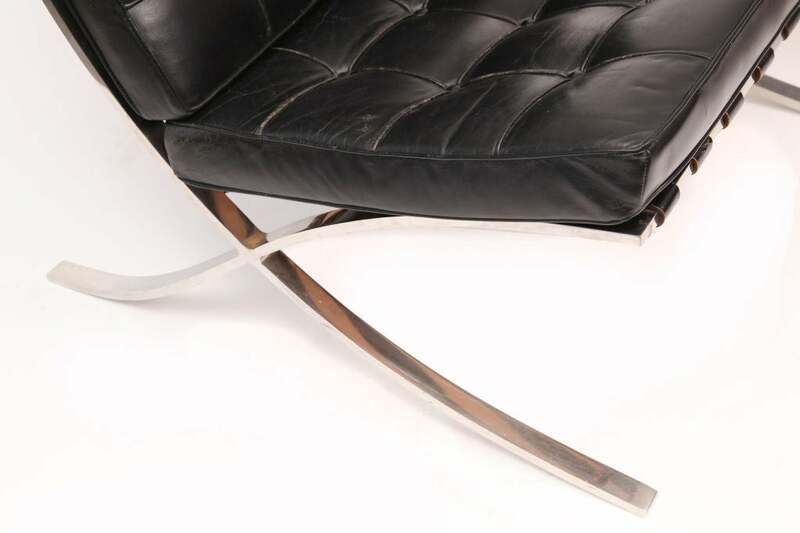 Great light patina and superb quality. 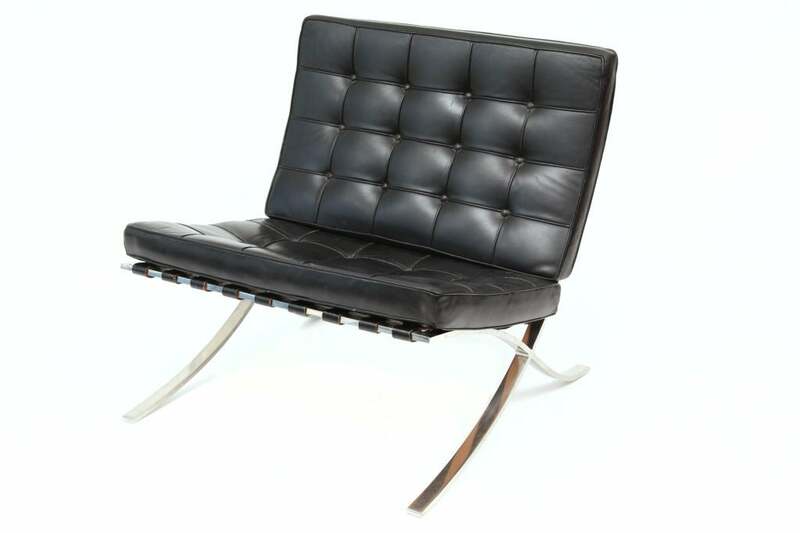 Large Mies van der Rohe style black leather lounge chair. 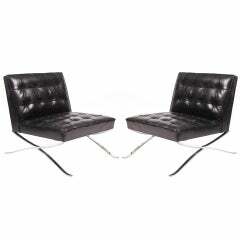 Not the usual copy of the Barcelona chair. 18 in. seat height. 3 chairs are available. Priced Individually.